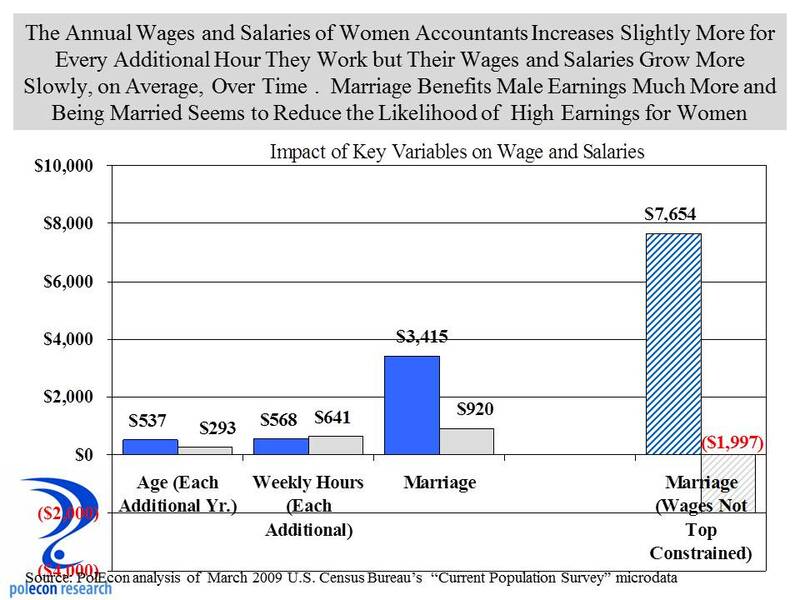 This entry was posted on January 28, 2014 at 3:01 pm and is filed under Gender, Labor, Labor Force. You can subscribe via RSS 2.0 feed to this post's comments. Also, as both genders approach their 30s-50s, we become the “Sandwich Generation” caring for both children and parents. Elder care should be contemplated. 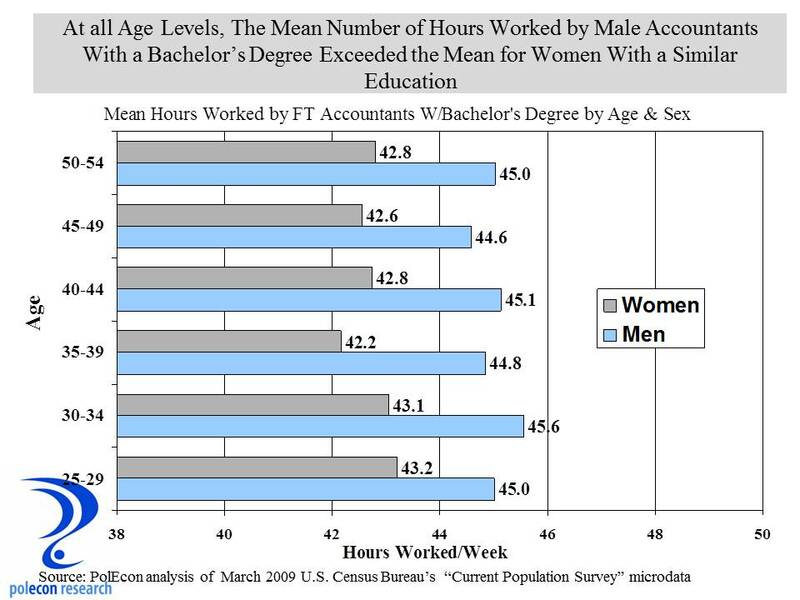 As well, the mentorship tendency of men, which women tend to lack. Great observations, thanks for the comment. I think the role of mentoring is especially intriguing and I wonder if more women were in higher level positions within organizations that we would see more of it. 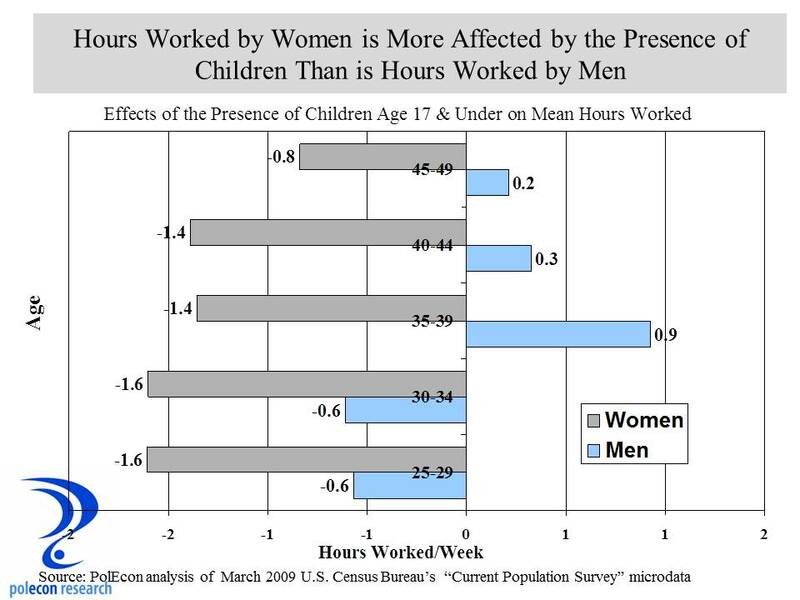 No doubt the larger role that women play in caring for both children and parents is contributing to hours worked, promotions etc., unfortunately, there is much less data on elder care than there is on child care to quantify it.